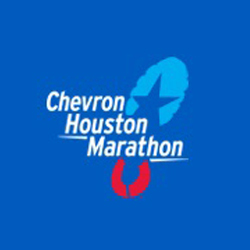 Space City Ski and Adventure Club will be providing the road guards for mile 23 of the 2019 Houston Marathon. It is a great day of fun for both volunteers and spectators. Mile 23 is a great spot to support the race as the runners can see the end in sight and there are lots of spectators cheering them on. The job of road guard is to keep those very enthusiastic supporters off the course so it stays safe for the runners. If you don't know the course, SCSC will be patrolling the section from the corner of Shepherd and Allen Parkway down towards the Federal Reserve Building. We need 10 to 15 volunteers to be road guards for mile 23 and 1 mile captain who will be the primary point of contact with the Marathon people. Please sign in on line here so I can keep tabs on how many sign up as well as do the following so the marathon has you signed up. 4. Check the 6:00 AM - 1:00 PM Mile 23 box. 5. Click on "I'm done choosing shifts" in the lower right corner. 6. Check the "I agree to waiver terms and conditions" box at the bottom. 7. Enter the text from the image, and click on "Register".